The Australian Concerto and Vocal Competition is an internationally recognised competition held annually in Townsville. It began life as a piano concerto competition in 1980 and has grown significantly in size and reputation, with the event now covering both vocal, instrumental, and school age sections. Held over five days in July, the Competition attracts outstanding musicians from around the world who perform works from concerto and opera repertoire with professional accompanists. Entrants come from places as far afield as Moscow, Poland, New Zealand and South Korea. Its prestige as a national event is now well established with many of our Open instrumentalists being finalists and winners of the ABC Symphony Australia Young Performers Awards. The Australian Concerto & Vocal Competition offers a unique opportunity for emerging musicians to be stimulated and extended. The Competition adjudicators are recognised both nationally and internationally for their expertise and interest in encouraging musical development. A separate Open Vocal Section was introduced in 2014 receiving an overwhelming response. From 2015 the Open Vocal section had its own Preliminary Stage, and there are currently two separate Finals Concerts – Open Instrumental and Open Vocal. Age Limit: Open to all ages. Open to all instrumentalists, excluding 1st Prize Winners from the past 4 years. Entrants must present a complete work in concerto form (i.e. solo and orchestra, string ensemble or concert band). The open section will consist of two stages – preliminary and final. Three performers will be chosen from the preliminary stage to compete in the finals. Open to all vocalists excluding 1st prize winner from previous year. Entrants must prepare a program of EITHER four contrasting arias (with or without recitative) from Opera/Oratorio OR a work/s for Voice and Orchestra eg Mozart’s Motet, a Bach Cantata or Four Last Songs by R Strauss. If performers intend to enter Section 1 as well, they must choose a new composition for this section. This section is open to all instrumentalists excluding previous 1st prize winners. Entrants may play one or more movements from the same concerto or work written especially for soloist and orchestra, soloist and string ensemble or soloist and concert band. Performers may participate on more than one instrument should they so choose. Open to all vocalists excluding previous 1st prize winners. Entrants must prepare a program in two parts. PART A: (to be sung first) The major part must be an aria from an opera or oratorio (with or without recitative), or a substantial work for voice and orchestra. PART B: The minor part should consist of one or more folk songs or art songs (not lieder). If performers intend to enter Section 1 and/or Section 3, they must choose a new composition for this section. If only part of a composition was performed in Section 3, other movements from that composition may be presented in this section. Age Limit: Entrants must be currently attending school. Entrants may play one or more movements from the same concerto or work written specifically for soloist and orchestra, string ensemble or concert band. Ensemble members must be currently attending school, and may come from more than one school. Players may form part of more than one group. The Australian Concerto and Vocal Competition is passionate about cultivating opportunities for musicians to expand their potential. Aside from significant cash prizes, ACVC awards two significant performance-based prizes. The John Hopkins Performance Fellowship is awarded to the winner of Section 1 Open Instrumental, and a partnership opportunity with Barrier Reef Orchestra is awarded to both the winner of Section 1 – Open Instrumental and the winner of Section 2 – Open Vocal. The John Hopkins Performance Fellowship (JHPF), initiated by the late John Hopkins OBE AM (1927-2013), fosters musical opportunities through community engagement. 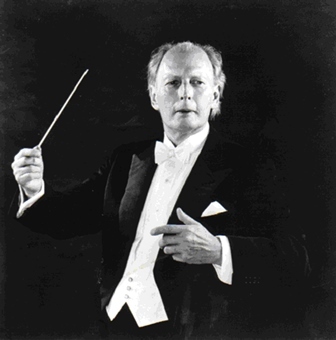 John Hopkins, one of Australia’s foremost conductors and music educators was an advocate for developing musicians and community ensembles. He also had a long running and hands on involvement with ACVC. JHPF provides an opportunity for its recipient to perform as a soloist with one of Australia’s many community orchestras. The specific orchestra will be determined annually and the fellowship covers all travel and accommodation costs for the soloist. The performance will be scheduled within 2 years of the fellowship being awarded. 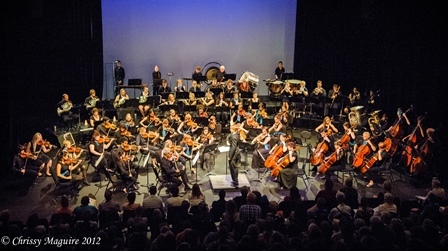 Under the umbrella of NQ Ensembles Inc , Barrier Reef Orchestra (BRO) is Townsville’s premier community orchestra. BRO performs regularly and presents standard orchestral repertoire as well as new and world music. They perform under the baton of renowned local, national and international conductors. Through their partnership with ACVC, BRO provides each winner of the Open Vocal and Open Instrumental sections the opportunity to perform as soloists in a public concert accompanied by the orchestra. The prize also covers applicable travel and accommodation costs incurred by the winner in order to perform in Townsville. The performances are scheduled within 18 months of the prize being awarded (at the discretion of BRO and ACVC management).